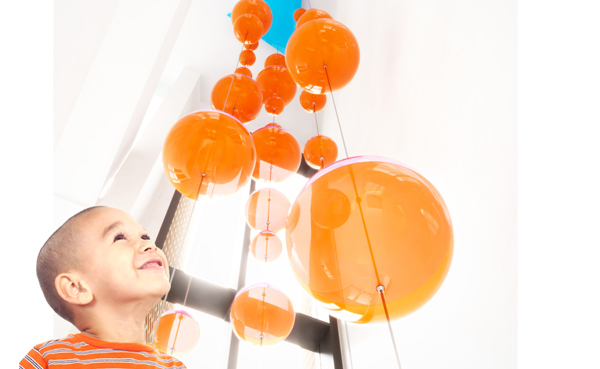 Architecture should have a sense of joy and playfulness. 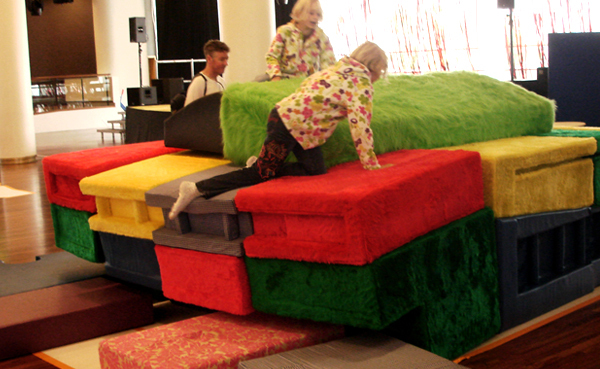 Commissioned by CABE the 2008 summer installation consisted of over 50 giant fabric building blocks that formed a 1:25 scale replica of the Southbank Centre. 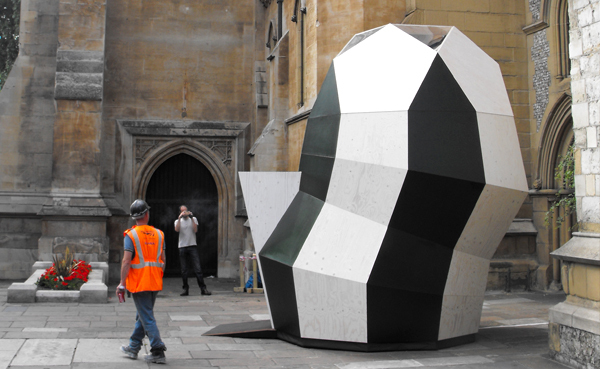 As part of the RIBA London Tides and Times exhibition we were invited to work with school children to design an inteactive pod inspired by it's location outside Southwark Cathedral. We are working with Aprille Broomhead to realise this permanent artwork for the new Sheffield Children's Hospital due for completion 2017. In collaboration with Satwinder Samra, Tony is a designer on CBBC's The Dengineers. 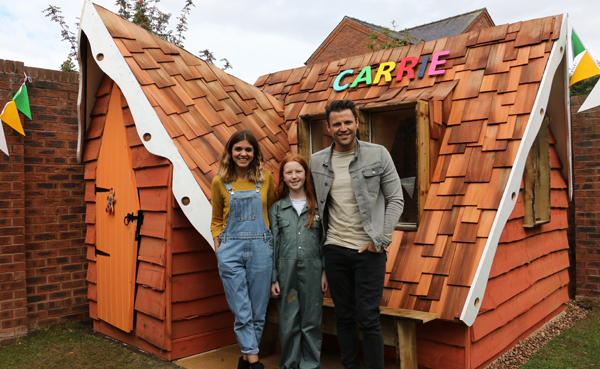 The team work with young people to create mini bits of architecture. 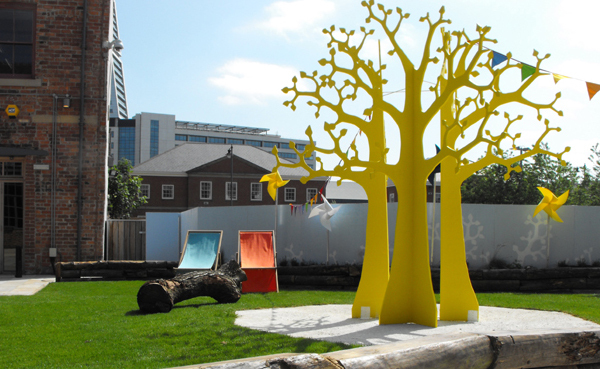 This temporary park reclaimed a strip of unused land to make a place to play and relax within the creative industries quarter of Leeds. 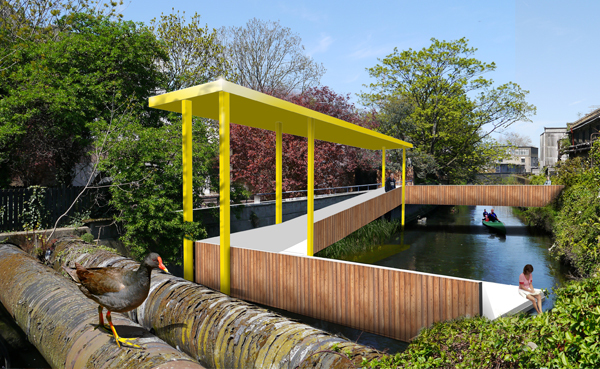 The park now forms part of the regeneration strategy.